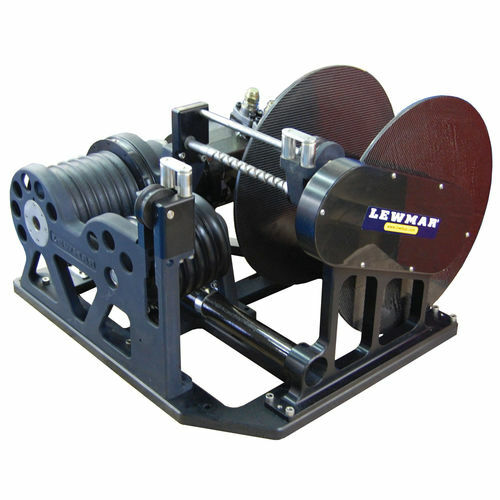 Lewmar's Captive Winch Line Management System offers safe, remote-controlled line handling and storage for yachts in the 22m (72ft) to 91m (300ft) range. The unique separate hauling drum eliminates the need for long lead entries, while storing the rope at low tension on a separate drum prevents damage to the rope. A separate hauling drum eliminates the need for long lead entries while storing the rope to the separate storage drum, allowing the rope to be stored neatly at low tension and preventing damage to the rope and the possibility of riding turns.